The Knoxville Mural Project is coming to life on South Gay Street this week! With the weather heating up in the mid-eighties for the next few days we can expect to see some major progress being made! One of the many additions this week is the detailed outlining of the “Knoxville, Tennessee” letters on the postcard. 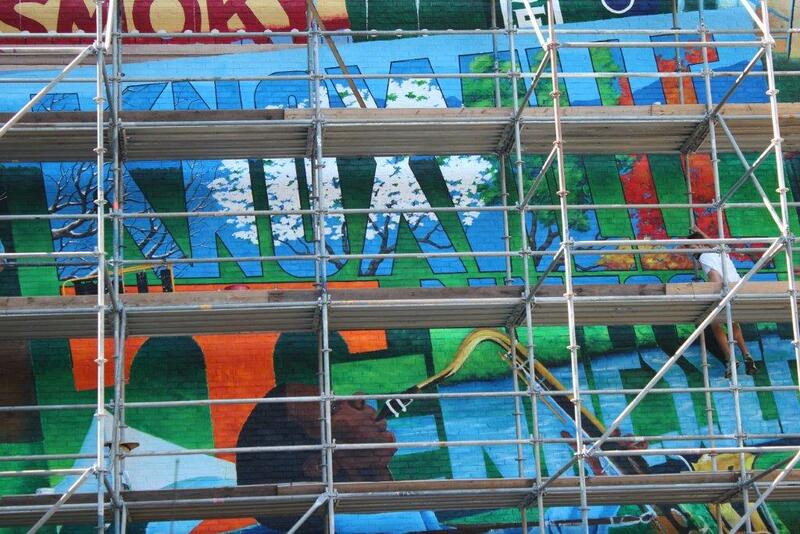 The postcard is really the centerpiece of the mural; however, this is not the only meticulous work being done this week. The new piece bursting off the wall is the addition of the fireworks! The fireworks display is being beautifully constructed to give you the visual of the bright bursting colors that stream across the sky. With Knoxville’s famous “Boomsday” event coming in just a few weeks passing pedestrians will have a happy reminder of the fun to come in September with the hour long firework and festival event! Another piece being embellished this week is the WDVX sign! The famous but local WDVX radio station is located inside of the Visitors Center. 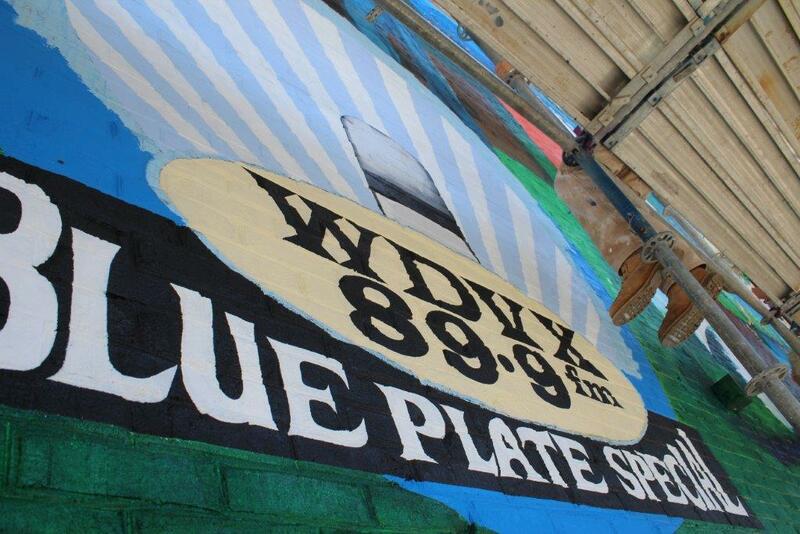 Six (6) days a week WDVX produces the Blue Plate Special, a live radio show at noon with different Americana performers every show. So stop by say “Howdy” to our all of our artist friends soon. 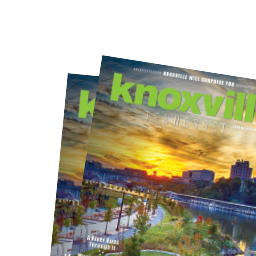 Knoxville is booming!